This recent launch from Maybelline caught my eye on a recent trip to Target because of the cute matte pink packaging. Yes, I definitely get suckered into products via packaging. I normally shop for mascaras at the drugstore or Target. I can usually find something that is just as good as high end formulas at the drugstore for a fraction of the cost. For something that just lasts three months, I prefer not to spend an arm and a leg (what if those were actual forms of payment-YIKES). I normally apply a mascara primer and then a mascara-but for the sake of testing this out I refrained. I applied two coats of mascara on each eye, top and bottom. The outer packaging itself is really pretty and fun. I also love when you screw the top back on the black top label matches with the bottom label....its the little things. The mascara brush itself is on the thicker end and has soft natural bristles. The most recent mascara that I loved from the drugstore is L'Oreal's Telescopic Mascara. This mascara has plastic short hard bristles which is great for separation and lengthening. 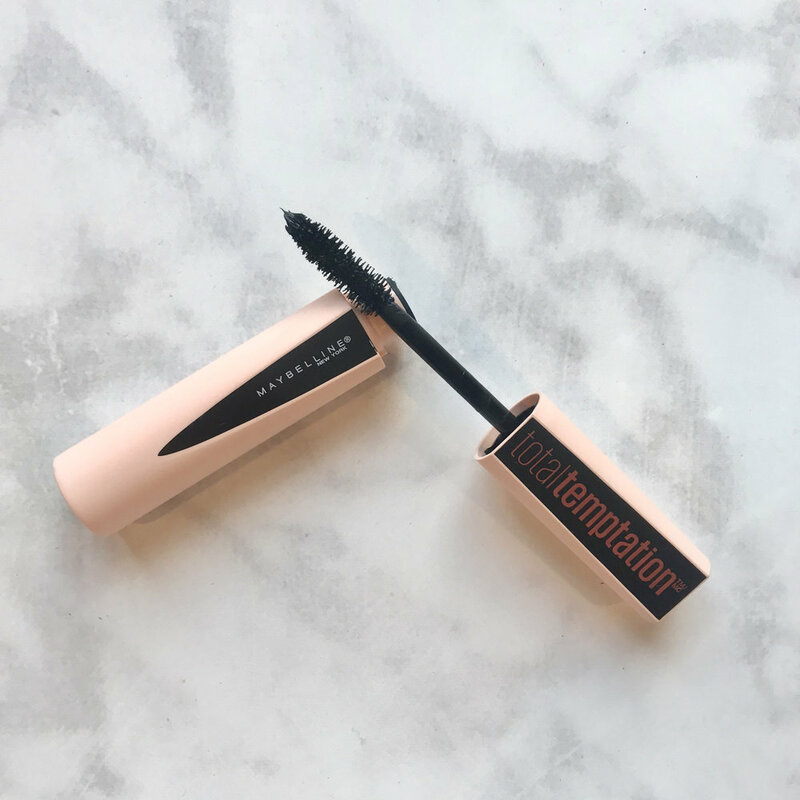 Total Temptation Mascara from Maybelline is almost the exact opposite and provides lashes with volume and thickness. I personally like both for different reasons. My lashes feel SO soft with this mascara formula. It also smells like chocolate to me. But, supposedly it's supposed be scented with coconut. It is also very lightweight that I forget I even have mascara on at the end of the day. Normally, I cannot wait to take off my eye makeup at night. I get no flaking or smearing-AMEN. All in all, I thoroughly enjoy this mascara and I will continue to use it till it dries up! Hoping for three months of lash bliss. Do you prefer drugstore or high end mascaras?